Griff the Invisible DVD and Blu-ray release date was set for November 15, 2011. Griff is a mere office worker when he takes on his day job. His life is rather miserable as he's bullied by his colleagues. However, he's moonlighting at night as the Invisible, a superhero. Dressed an invisibility cloak that is befitting a hero, he travels the streets of his neighborhood in hopes of stopping injustice in its tracks. Enter Melody, a scientist who believes anything is possible, for a whole, new twist to Griff's story. 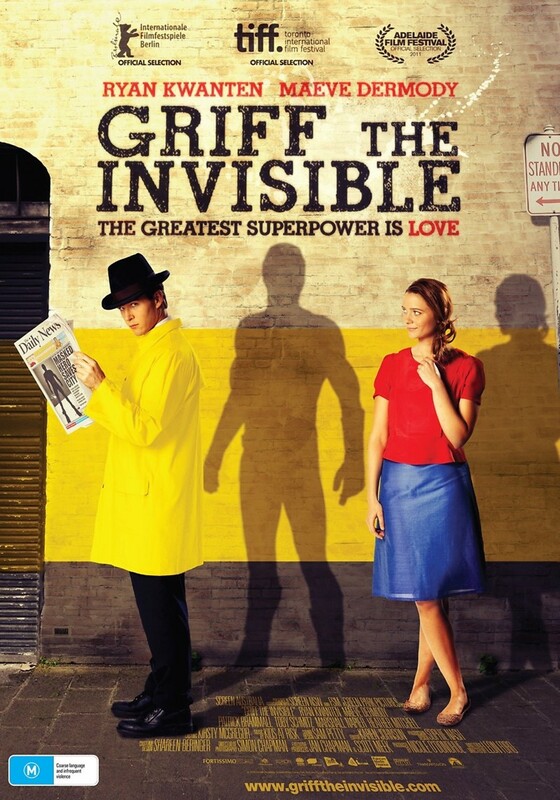 As she falls in love with Griff, she creates an invisibility suit for Griff. In the end, he is only invisible in his imagination, but the clothes give him the confidence to overcome his adversaries. With Melody by his side, he continues his efforts, bolstered by her love for him.